If you’re hesitant to give up pen and paper for all your note-taking needs, Wacom’s Bamboo Spark digitizing notebook has added another good reason to avoid a touchscreen stylus for a little while longer: handwriting to text conversion. This wasn’t a feature that was included when the $160 Bamboo Spark was first introduced. Notes jotted down on your paper of choice were still digitized so they could be accessed on the Spark iOS app, or online via Wacom’s Inkspace cloud service. But what you wrote on paper was exactly what you ended up with on your mobile device; editing or copying text was simply not an option. Starting today, Wacom is updating the Bamboo Spark iOS app with the option to convert handwritten notes (in one of 13 supported languages including Korean, Japanese, and Chinese) into editable text that can be copied into an email or archived in online services like Evernote or Microsoft’s OneNote. 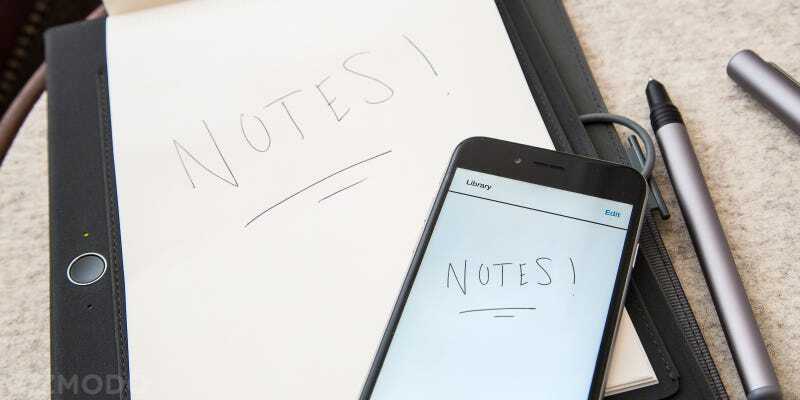 If your handwriting is barely recognizable, even by you, this update should make sharing your digitized notes considerably easier. It also gives the Spark iOS app vastly improved search capabilities if you’re terrible at keeping all of your scribbles organized.